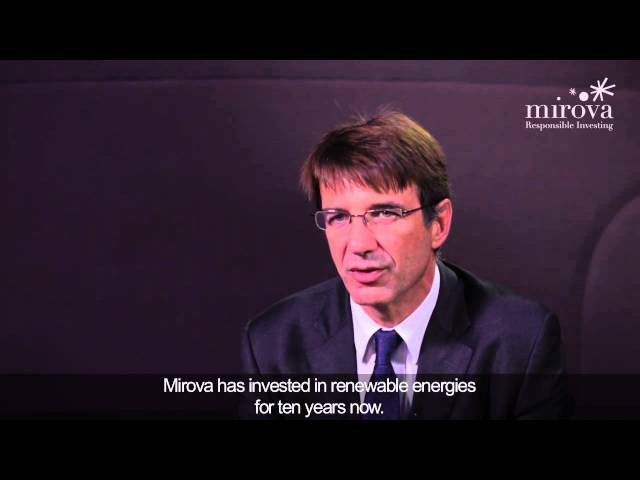 Having participated since the very beginning in the financing of renewable-sourced energy production infrastructure, Mirova’s teams possess a unique perspective on this market, its players and its evolution. This has allowed them to hone their expertise, contributing to projects that are new, whether in terms of technology, maturity or geography. 1st investment fund to specialize in renewable energies in France. Launched in 2002, FIDEME was structured as a French FCPI (“Fonds Professionnel de Capital Investissement”, Articles L.214-159 and following of the French Monetary and Financial Code) and funded with a €15m grant from ADEME (the French Environment and Energy Management Agency) and €30m from private investors, for a total of €45m. Its purpose was to promote the development of renewable energies in France, in particular wind farms, through quasi-equity loans (mezzanine debt). In June 2013, all private investors in FIDEME were repaid according to target distribution levels and internal rate of return objectives. The fund participated in the construction of 24 wind power projects with a combined installed capacity of 300 MW, as well as several other projects based on other technologies (biofuel, hydro-power, etc.). Fund dedicated to renewable energy projects in Europe. Launched in 2009, EUROFIDEME 2 was structured as a French FPCI (“Fonds Professionnel de Capital Investissement”, in accordance with Articles L.214-159 and following of the French Monetary and Financial Code) and funded up to €94m by private investors. As with the FIDEME, the purpose of the fund was to invest in projects with proven technology in the pre-construction phase, but with a broader perimeter of investment from both a technological (wind power, photovoltaics) and geographical (Europe) perspective. EUROFIDEME 2 completed its investment period in the 3rd quarter of 2014. It contributed to the creation of 300 MW in land-based wind power and 100 MW in photovoltaics. In the spring of 2014, following the success of the FIDEME and EUROFIDEME 2 funds, Mirova launched MIROVA-EUROFIDEME 3, structured as a French FPCI (“Fonds Professionnel de Capital Investissement”, Articles L.214-159 and following of the French Monetary and Financial Code), to allow European institutional investors to finance project companies carrying renewable energy assets (essentially wind power and photovoltaics, but also hydroelectric power and biomass) in Europe. The investment strategy aims to establish long-term partnerships with industrial firms through co-investment and support in both the start-up and early operation stages of projects. After the construction and several years of operation of the projects, the fund aims to sell these assets to industrial or financial buyers. The final closing was announced in July 2016 with €350m commitments, well above its €200m initial target. 1 The Funds described herein have not been authorized by any supervisory authority. The Funds' investment objective, strategy and main risks are described in their regulatory documents. Their fees, charges and performances are also described in these documents. Investments in the Funds are mainly subject to loss of capital risk.